What’s up with the “sequel in reverse”, you ask? Easy. All we need to do is flip the timeline. This post is a continuation of the previous post about wines of Southwest France – however, the tasting I want to share with you took place almost 6 months ago, at the end of the last year 2017, hence the “reverse” notion. Outside of the sequence of the events, the two tastings are perfectly aligned – they are both squarely dedicated to the wines of one of the oldest wine-producing regions in the world – Southwest France. I can’t explain why, but I feel that I need to make a confession. 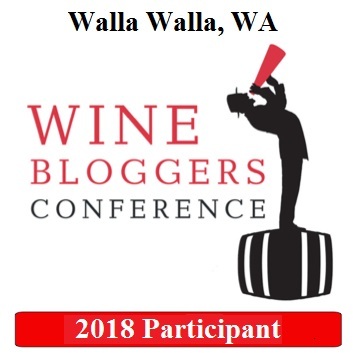 If you look through the pages of this blog – and there are a few here – I’m sure you will come to a conclusion that I primarily drink wines from California, Spain, and Italy, with an occasional sprinkle of everything else. And you will not be wrong. However, truth be told, my true love to wine started from French wines. I read the most about French wine and French wine regions. I was obsessed with trying to find an amazing Bordeaux for less than $10. Côtes du Rhône wines were a staple at the house. I spent countless hours in the France aisles of the wine stores (luckily, I was working in a close proximity of the Bottle King in New Jersey), looking for the next great experience with the wines from the Loire, Rhône, Bordeaux, Chablis, and others. French wines were “it” – unquestionably, a sacred territory. As the time was going by, and Bordeaux and Burgundy prices were going up faster than the weeds growing after the rain, the French wines moved mostly into a category of a rare encounter. Last December was not the first time I participated in the virtual tasting about the French wines – but somehow, when I opened the box with these wines, something warm and fuzzy came over, and my first reaction was “ahh, I really, really want to drink these wines!”. There is nothing special about this particular set – no big names (I don’t believe Southwest France has much of “big names” anyway), no flashy, ultra-modern labels – and nevertheless, there was a promise of a great time in their simplicity and authenticity. These wines also perfectly played to my other “wine obsession” – the love to obscure and lesser-known wines, so altogether, I took a great pleasure in anticipation of the tasting. P: bright acidity, dark fruit, tart cherries and cherry pit, noticeable tannins. V: 8+, outstanding, powerful, balanced, needs time! The Southwest France wines are a treasure trove for the wine lovers – they capitalize on tremendous history, experience, unique terroir and unique grapes, offering oenophiles lots of pleasure in every sip. Look for the wines of Southwest France – and you can thank me later. We drink wine because it gives us pleasure. Yes, it is that simple (and I didn’t come up with this – I learned it from Kevin Zraly, maybe the best wine educator in the world). We are looking for pure and simple sensual pleasure in every sip of that white, pink or red colored liquid in the glass, and, of course, it makes us happy when we find it. When it comes to giving pleasure, I have to state that Rosé has an unfair advantage. We start drinking with our eyes, and while white and red have to compete for our attention with creative labels or sometimes even bottle shapes, Rosé takes a lot more simplistic approach – it just stands in front of us – naked. Clear bottle, nothing to hide – here I am, and I know I’m beautiful, so yes, do look at me and feel free to admire. I don’t know if colors have universal meaning around the world – for instance, red is typically associated with danger or daring in the Western world – and red is the color of luck in China. So the pink color is usually associated with love and happiness in the Western world, and this is why the bottle of Rosé is so good at driving our emotions, no matter what shade of pink it actually boasts. Acceptance, appreciation, and demand for Rosé stand at all times high today – and it continues climbing to the new “high” every year. Rosé still has a stigma of “summer wine”, but this is slowly changing as people start recognizing how much pleasure every sip of good Rosé packs, and how versatile it is with food – I would dare to say that in its food pairing versatility, it can well compete with Champagne, which is very hard to beat in its pairing range of cuisines from traditional Chinese to fiery Indian, sublime French, or big and bold Texas BBQ. Today, Rosé is made everywhere – literally everywhere in the world. It is hard to find a winery which didn’t add Rosé to its repertoire. But before Rosé became so fashionable, there was Provence. More than 90% of the wines made in Provence are Rosé, and then they’ve been practicing for about thousand years, so Rosé is really a way of life in Provence, which is easy to see once you take a sip from the glass. I might surprise you with a choice of a close contender to the dominance of Provence – and they are not at all if you will think about the production volume – but when it comes to the taste, Rosé from Lodi in California will easily give Provence a run for the money. 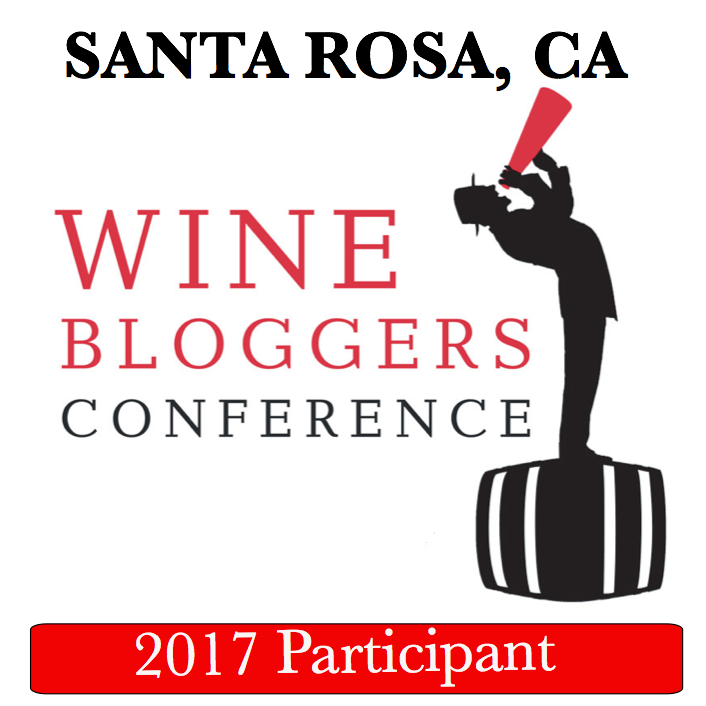 Ever since visiting Lodi in 2016 for the Wine Bloggers Conference, I use every opportunity to confess my love to the region. Lodi might be one of the best-kept secrets in California wine. While a lot of wineries and regions are contemplating their approach to sustainability, Lodi grape growers already developed so-called Lodi Rules (now being analyzed and copied in many regions) for sustainable viticulture, and they have the certification program in place to ascertain that rules don’t just stay theoretical. What starts in the vineyards, continues in the wineries, and the result is simply better wines. Most of the times Lodi is associated with Zinfandel. Of course, Zinfandel is one of the best known and important grapes in Lodi, but on a big scale, Lodi is a home of the Mediterranean grape varieties – Albarino, Grenache Blanc, Carignan, Grenache, Syrah, Tempranillo and many others, made into delicious, perfectly restrained wines. Lodi goes beyond just the grapes – we need to talk ancient grapes here. lodi is home to some of the oldest in the world plantings of Carignan and Cinsaut (Cinsault), original Mediterranean varieties, also planted on its own rootstock (phylloxera doesn’t survive in Lodi’s sandy soils). Definitely another level – and should be a subject of a separate post. I had a pleasure of tasting 5 different Rosé for this post – two from Lodi and 3 from Provence. One of the Lodi Rosé is coming from Markus Bokisch, truly a master of Spanish (yes, Mediterranean) grape varieties. Second Lodi wine is produced by Estate Crush from ancient vines Cinsaut, from 130 years old vineyard. Provence wines are coming from two estates owned by Provence Rosé Group – two wines from the Château de Berne, the estate tracing its origins back to the 12th century. The last Provence Rosé is from the Ultimate Provence, the experimental estate which combines traditional Provence with urban design. Before we talk about the wines, just look at those Provence bottles – each one is practically the work of art, uniquely appealing beyond just the color. Strawberries all the way on the palate, the wine is definitely more present on the palate than any from Provence, a touch of sweetness, medium body, good acidity, very good balance. Refreshing and quaffable. Sweetness significantly subsided on the second day. Outstanding. Drinkability: 8-, will be perfect with any spicy food. Drinkability: 8, excellent. This wine also perfectly passes room temperature test. Strawberries on the nose, ripe strawberries on the palate, excellent balance, clean, fresh, easy to drink. Drinkability: 8, excellent, delicious from the get go (as one would expect from Rosé). Was also excellent with food! Pretty rough edges on the palate initially, interesting vegetative undertones. Drinkability: 7+, might be a food wine. Clean, bright, fresh palate, strawberries and strawberry compote, crisp acidity, very refreshing – but all the fruit quicky fading, and the wine doesn’t appear balanced. Drinkability: 7+, unique and unusual nose. Palate might be too dry after all. 3 days later – 8-/8, round, strawberries and raspberries with white stone fruit undertones, clean, totally different level of pleasure. Another surprise. Here you are, my friends – 5 very interesting Rosé to brighten up any day, summer, winter, holiday, and not. Tomorrow is Mother’s Day, so you still have time to surprise Mom with your good taste in wine. And if you are a mom reading this – Happy Mother’s Day to you and thank you for everything you do! Where In The World is Gigondas? Do you think I’m dumbing it down way out of proportion? Do you think every wine consumer is perfectly familiar with whereabouts of Gigondas and its wines, and thus taking offense in the title of this post? Well, if this is the case, please share your anger in the comments section below and click the “x” in the corner. And if you are still here, let’s talk about the tiny speck of land in the southern part of the Rhone appellation in France. Size matters, but probably not in this case. Gigondas has only about 3,000 acres of vineyards for the whole appellation (for comparison, E.& J. Gallo in California owns 20,000 acres of vineyards). Nobody knows where Gigondas name came from, but it is known that the wine was consumed in the Gigondas region more than 2,000 years ago. First records of Gigondas vineyard go all the way back to the 12th century. I guess the wine in Gigondas was really good even in the early days, as in 1591 there were first laws enacted, particularly prohibiting the sales of the wine to foreigners. In 1971, Gigondas became the first appellation in Côtes du Rhône-Villages to receive its own AOC status. Gigondas is the land of Red and Rosé (just Red, mostly). Yep, that’s right – no white wines are produced and no white grapes are grown – at least for the wines produced under the Gigondas designation. The wines of Gigondas stylistically similar to the wines made in the neighboring – also much larger and a lot more famous – appellation of Châteauneuf-du-Pape – despite vignerons mostly working with 4 grapes in Gigondas (out of 8 varieties officially permitted), while folks in Châteauneuf-du-Pape allowed to use 18 in production of their red wines, 9 of which are white. At the end of the day, it is not for nothing both Gigondas and Châteauneuf-du-Pape wines are often classified as “GSM” – which stands for Grenache, Syrah, Mourvèdre – these are the main three grapes, with Grenache typically been a workhorse here (up to 80% allowed in Gigondas wines). Now, the time has come for an ugly truth. I’m actually not familiar with Gigondas wines. I know and had many of the Châteauneuf-du-Pape wines, but I usually would pass by one or two bottles of Gigondas which most of the stores would offer, and go to the Châteauneuf-du-Pape in the same price range. Thus when I was offered to try 3 different Gigondas wines, my “yes, please!” was very enthusiastic. It is time to talk about the wines I was able to taste. I had three wines, two from the 2015 vintage and one from 2014. Let’s take a look at the producers first. The Domaine des Bosquets traces its history back to 14th century. Today, Domaine des Bosquets farms 64 acres of vineyards (50 years old vines), primarily growing Grenache and small amounts of Syrah, Mourvedre, and Cinsault. The Famille Perrin needs no introduction to the wine lovers. It takes roots in the same 14th century, with its historic Château de Beaucastel. In the 1950s, Famille Perrin became a pioneer of the organic farming, later on extending into the Biodynamic. The Famille Perrin also involved in the multiple projects in France and around the world, and the wine I tasted comes from their La Gille property in Gigondas. Unlike the two wineries we just talked about, the Guigal Estate was founded in 1946 by Etienne Guigal in Ampuis, a small village Côte-Rôtie appellation. From there on, however, E. Guigal moved to the great prominence, with its so-called “La La” bottlings from Côte-Rôtie (La Mouline, La Turque, La Landonne) becoming an object of desire and obsession for the wine lovers around the world. Guigal Estate produces the wines in multiple appellations throughout both Northern and Southern Rhone, and “Guigal” name on the bottle is typically associated with quality. Dense, chewy, blueberries and blueberry compote, eucalyptus, dark chocolate, medium to full body. Long finish. 7+, I would like a bit more balance. 8- second day, the wine is a lot tighter, has firm structure, shows hint of white pepper and by all means a lot more enjoyable. Apparently will improve with time. Intense nose of freshly cut berries, vanilla, eucalyptus. Noticeable alcohol as well. The palate is very intense but also astringent at the same time, black pepper, surprisingly medium body (was expecting bigger body). After 30 minutes in the decanter, the aggressive alcohol is gone. Still, feels that the wine needs time – not ready to drink now. Putting aside for a day. Day 2 – cherries, mocha, and coffee on the nose. No alcohol, all nice and integrated. The palate shows tart cherries, pepper, vanilla, cut through acidity, medium plus body. Nicely drinkable. 8-/8, very good. 8-, a very pleasant and nicely drinkable wine from the get-go. Day 2: 8+, sweet vanilla, dark chocolate and blueberries on the nose, extremely inviting. The palate evolved dramatically – pepper, raspberries, graphite, nutmeg, violets, firm structure, superb. Here you are, my friends – my first serious encounter with Gigondas. Looking at the pictures, I would really love to visit Gigondas, and I will be happy to drink the Gigondas wine – just need to fiorget them in the cellar for a while. What is your eperience with Gigondas? Cheers!